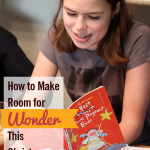 I read this article and wanted to share it with you: How to Make Room for Wonder This Christmas https://blog.sonlight.com/room-for-wonder-christmas.html. Life is full of rhythms. Times of waiting and times of celebration, times of plenty and times of lack—they weave themselves into the tapestry of our year and make us appreciate each new season in contrast. Thanksgiving is behind us and Christmas awaits. This in-between season that some observe as Advent can be a sweet time to cultivate anticipation in our children. When we pause to try and wrap our minds around the idea of Emmanuel, God with us, heaven come down to earth, our children get the best gift we could offer: a pure sense of wonder and awe. As hectic as this season can be, I believe we serve our children well to mix in space for rest and reflection as well as activity. And whether we are active or quiet, doing a hundred crafts and events or none, we can be intentional about helping our children treasure what is truly precious. I love the image from the Christmas story in Luke 2:19, that as the shepherds proclaimed and angels sang, Mary "treasured all these things and pondered them in her heart." As busy parents, how do we practically cultivate a sense of anticipation and awe, a delight in Jesus, a longing for His return? And why is this important for home education in the first place? Because God himself is the source of all the truth, beauty and goodness that we seek to impart to our children. 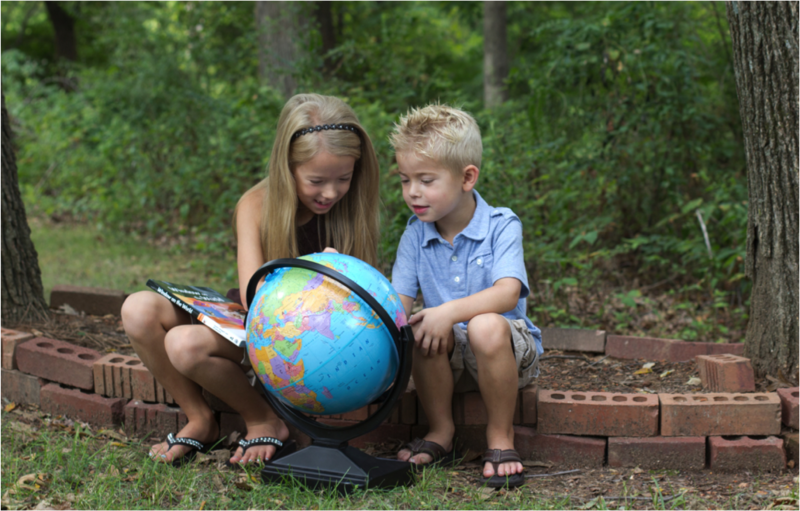 How do we remember as a family who Christ is and what He has done in the midst of our homeschool days? 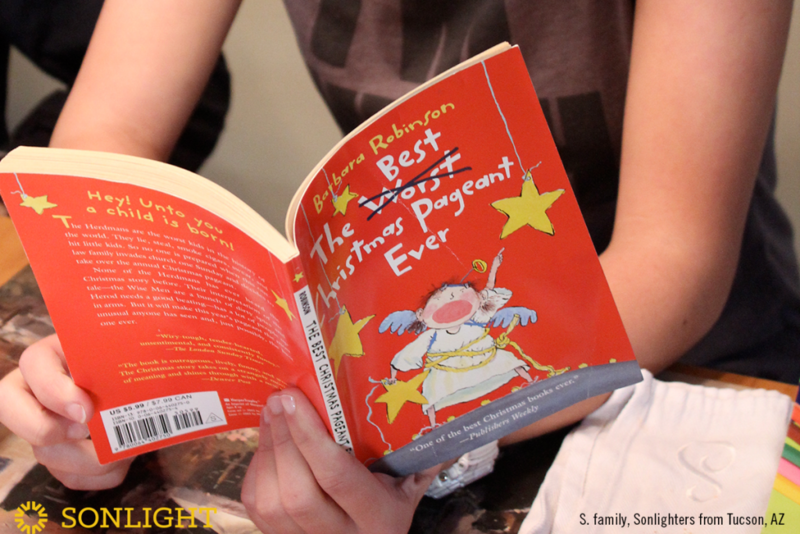 How do we make room for wonder this Christmas? Light a candle each night and sing a song about our Savior's coming.You can find lots of ideas for using Advent candles and readings like this one. Consider drawing names in your family and doing small secret acts of service for one another over the month of December. You can talk about serving in the spirit of Christ. Gather on the couch to read a book that inspires your whole family to love and courage. Practice generosity and find acts of kindness that you can all do together in your neighborhood. Incorporate beauty by doing a simple art study and looking at masterful paintings of the celebration of Jesus' birth. 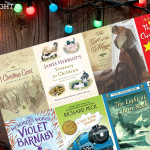 Read Christmas-themed books during Read-Aloud time. Consider the names of Jesus at breakfast each morning this month and read a Scripture that relates to that name and His promises. Whatever you choose to do that helps you point your children to Jesus, may it not be another activity to add to your ever-growing to-do list, but a way of simplifying down to what matters most to you. 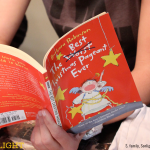 Within Sonlight Curriculum, we don't separate the beauty, fun, interest and context from the facts we are learning. We celebrate the lovely and courageous. We marvel at the contrast between darkness and light. We dive into the story. We tap into the emotions to reach the whole person with an idea. That's why we call it literature "rich." In the same way, when we communicate the message of the Jesus of Christmas to our children, let's not just tell them, let's show them. Let's captivate their hearts by leaving room for wonder.